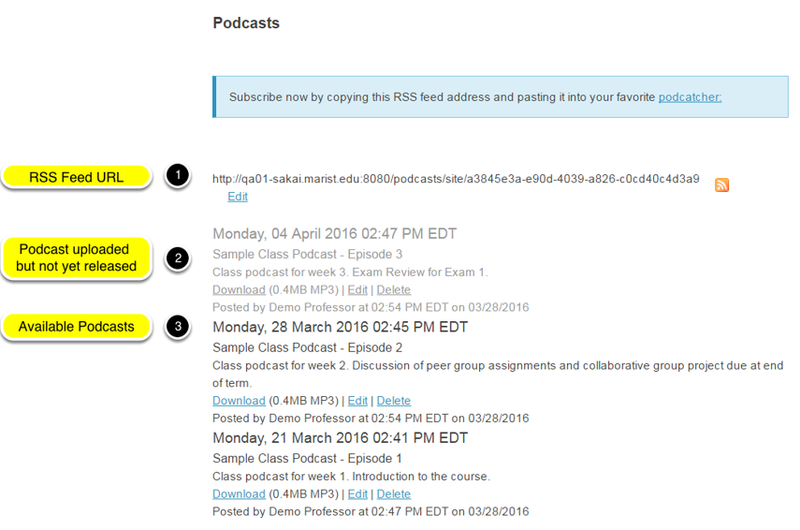 Instructor User Guide PodcastsWhat is the Podcasts tool? Zoom: Example of a site Podcast. Next: How do I add a podcast?